In this book, the authors propose another conception of the class group. Their references are Freinet, Bonnéry (through the works of the interdisciplinary team Escol – “Education, Scolarisation”), but also the institutional pedagogy (evoked in the review of publication “Did you say institutional pedagogy?”). For the authors, the school must propose an acculturating collective lest only those with the school culture heritage will succeed. They claim they have written this book so that it can help trainers. But they also want it to be useful to teachers who will want to read it. Each chapter proposes a problem. Readers can imagine themselves in a situation and try the different solutions as if they were in training. The authors try never to have THE right answer but to fuel an analysis of the readers’ situations and references. The cases are always concrete, critical, drawn from experiences. The authors are convinced that it is the right way to train oneself. “With exemplary coherence, the authors give us a true “manual” of pedagogy for a genuinely emancipating education. They precisely explain what “emancipating” means and it is possible, in a classroom, to work in a cooperative way so that each student can learn, sets themselves free of any form of fatality and build themselves a “free subject”. Each topic of the book is introduced with a practical situation, described and analysed with precisions. The reader is thus immersed in the school, in front of “real” students, confronted to decisive choices that teachers must made in order to go beyond the conflict, find a way to mobilise their students on complex knowledge, organise efficient learning activities… From there are mobilised data from university research as well as from educationalists’ propositions. In this way, the reader builds, in their journey with authors, real new professional knowledge. It must be noted that J. Cornet and N. De Smet are members of “CGé” (Changement pour l’Egalité), a socio-pedagogical movement that aims to improve the quality of education and training in the Fédération Wallonie-Bruxelles, with a prospect of equality and democracy. 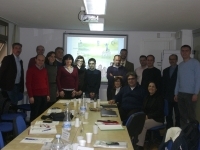 This association has already been presented by Inforef in the project “[email protected]”.